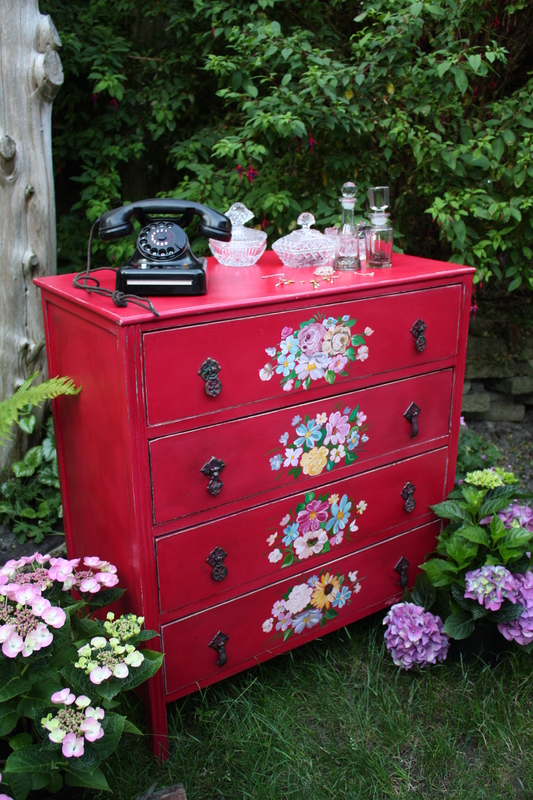 Full of charm old chest of drawers, reinforced and painted with red, then decorated with hand painted flowers. 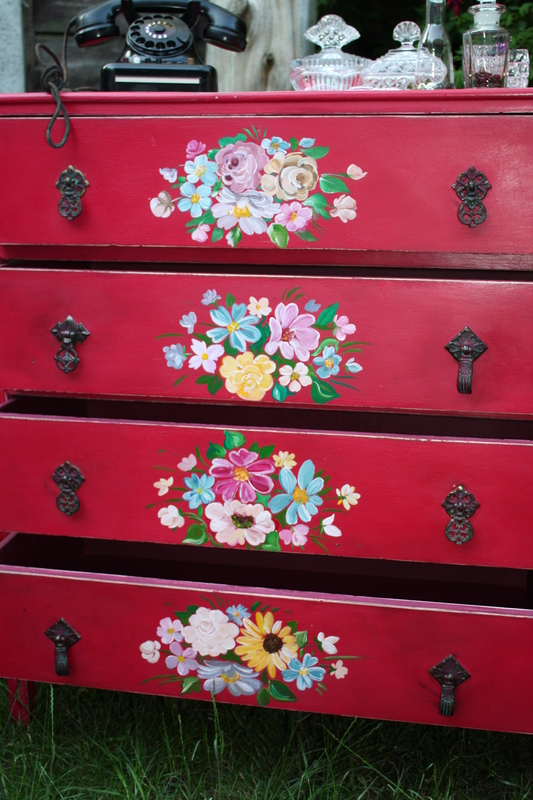 Inside drawers painted with more intensive colour. 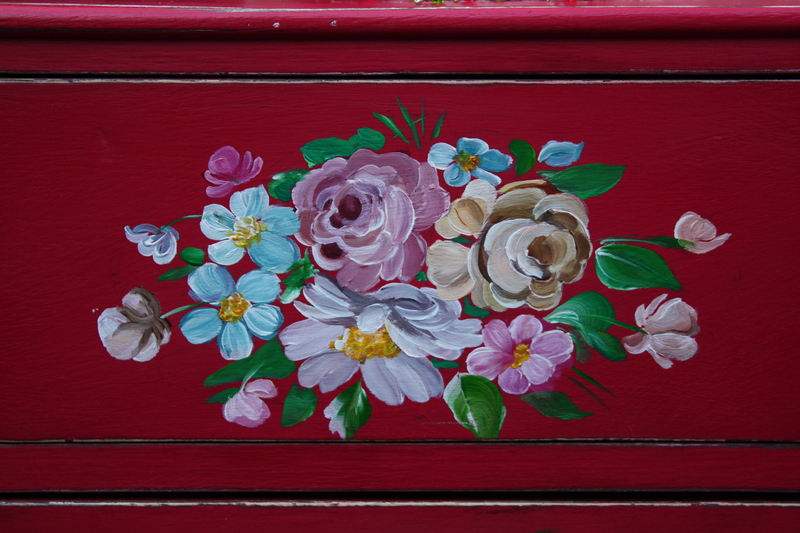 All existing knocks and blemishes give more character to simple lines of the piece. Different styles of handles brings a little of quirkiness to overall look.